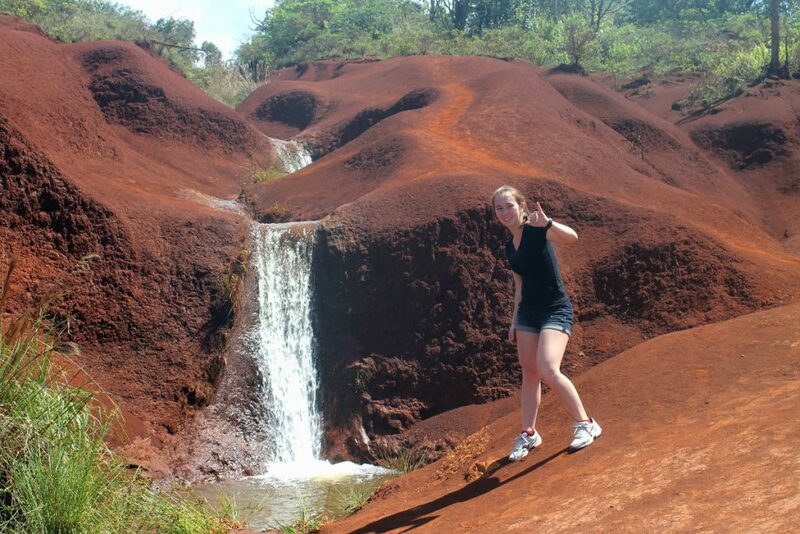 I’ll admit that when I originally put together my Kauai Itinerary, Waimea Canyon hadn’t been part of it. We only had a day, and we had already booked our Na Pali Coast tour, so I hadn’t thought we’d have enough time to do much else. It wasn’t until we were on our flight to Kauai that we took another look at our itinerary and decided to see if there was anything else worth visiting that wouldn’t be too far from the launching point of our boat tour. 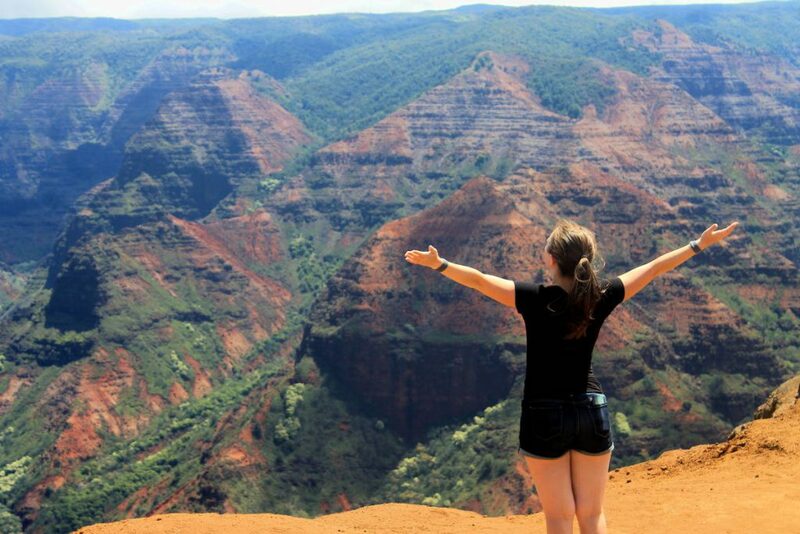 After a little bit of Google searching, I found the Waimea Canyon, and I’m so glad I did, because it ended up being absolutely amazing! 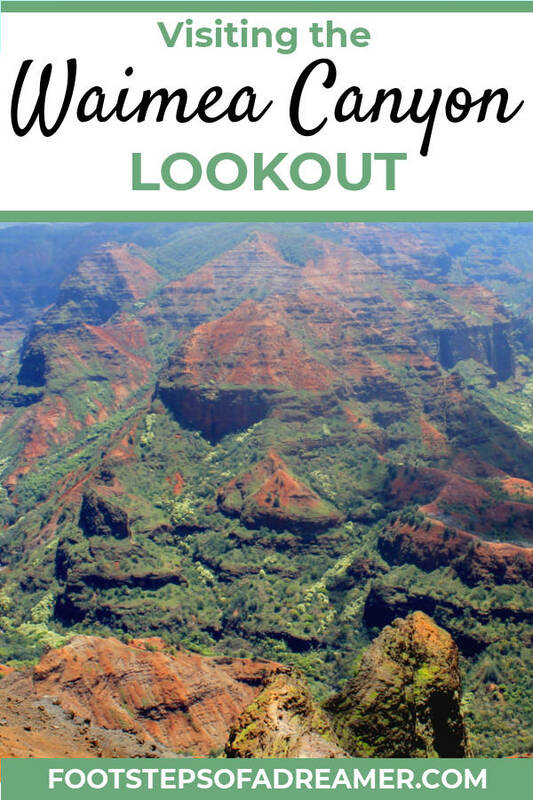 Find out what it’s like visiting the Waimea Canyon Lookout in Kauai, Hawaii! 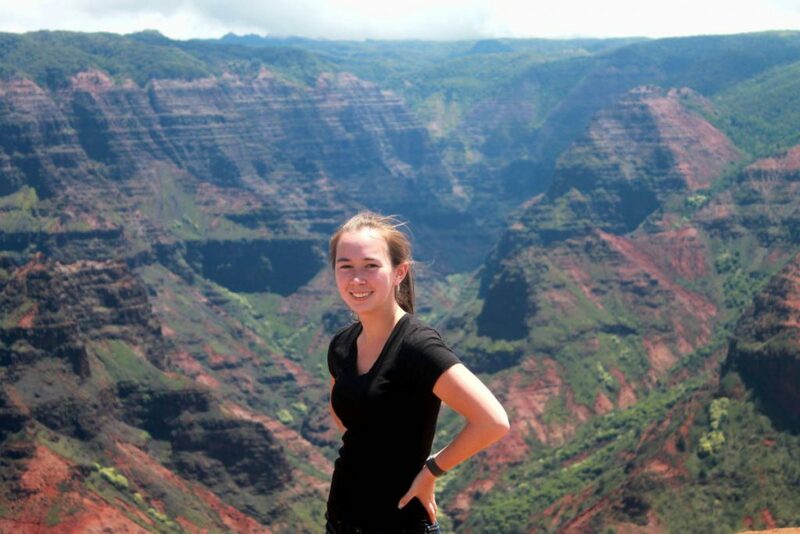 At ten miles long, a mile wide, and 3,600 feet deep, Waimea Canyon is the largest canyon in the Pacific. It was formed through erosion from the Waimea River. The name Waimea, which means “reddish water”, comes from the spectacular red, brown, and green hues found within the river and canyon. 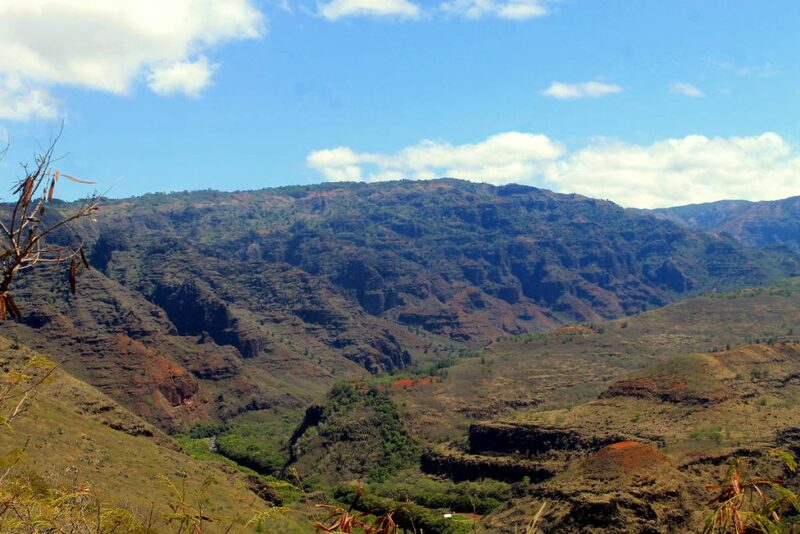 The drive through Waimea Canyon State Park is a beautiful, but long one. Hawaii State Highway 550, also called Waimea Canyon Drive, begins at Highway 50 and ends at Pu’u O Kila Lookout. According to Google Maps, it’s almost 20 miles in length, and since it ends at a lookout point (instead of connecting to another road), you’ll have to go back the same way you came for a total of almost 40 miles roundtrip. There aren’t really any gas stations along the way either, so you’ll definitely want to make sure you fill up before you set out. 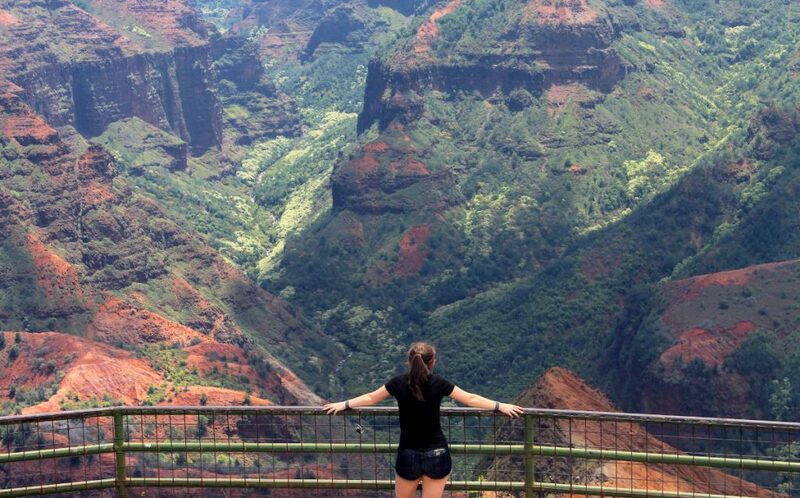 The main and most well-known overlook for Waimea Canyon is the Waimea Canyon Lookout. Once you park your car, you’ll find steps just a few feet from the parking lot that lead up to the lookout platform. If steps aren’t your style, you can head down just a little bit further and head up the ramp. From the platform, you can get an almost birds eye view of the canyon below. The absolutely amazing feeling you get when standing at the Waimea Canyon Lookout overlooking the canyon below just can’t be put into words. 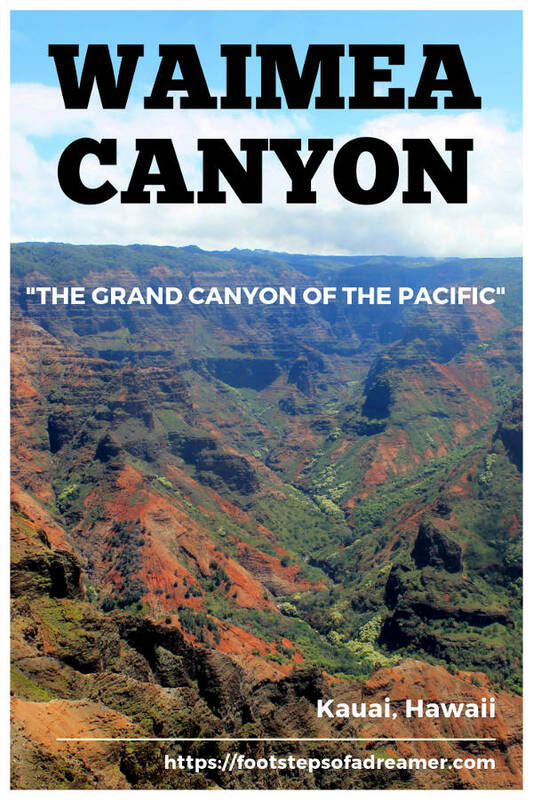 Compared to some of the other canyons in the United States which look very dry and desert like, the Waimea Canyon is covered in tones of red and green, giving it an indescribable beauty. Some views get less incredible the more you look at them, but I felt like I could have stood at that overlook for hours. I literally felt like I was standing on top of the world. This was definitely the best thing I’ve ever decided to do on impulse. I lucked out in that, despite having gone in the late morning, the canyon was perfectly clear. I didn’t have any issues with fog as some other travelers have reported. I highly suggest checking the weather the day before so you can decide the best time to visit in order to appreciate these fantastic views! If you are feeling a little bit more daring, you can climb up the rocks that are just before the steps to the overlook. It’s steep climb to get there and there aren’t any railings, so it’s definitely not the safest spot for viewing the canyon, so climb at your own risk. However, if you’re looking to get a good view of the canyon without any obstructions, this might be one of the better spots to do so. A little further down Waimea Canyon Drive, you can find Pu’u Hinahina Lookout, which also offers a pretty good view of Waimea Canyon and has a little less of a crowd. It’s not part of the state parks, but if you’re coming from Lihue airport, I actually recommend stopping at Hanapepe Lookout first. It’s located along Hawaii State Highway 50, a few miles before the intersection with Highway 550. The lookout will give you a view of the beautiful lush Hanapepe Valley, which served as a filming location for Jurassic Park. Aside from the above mentioned lookouts, there are several other “unofficial” lookouts along the way. There isn’t any official sign or parking spaces, but every now and then you’ll come across a portion of the road that has a wide shoulder or pull off area right next to a beautiful overlook. If you’re not in a rush, I recommend stopping at a few of those along the way, as each usually provides a unique view of the state parks and ocean. 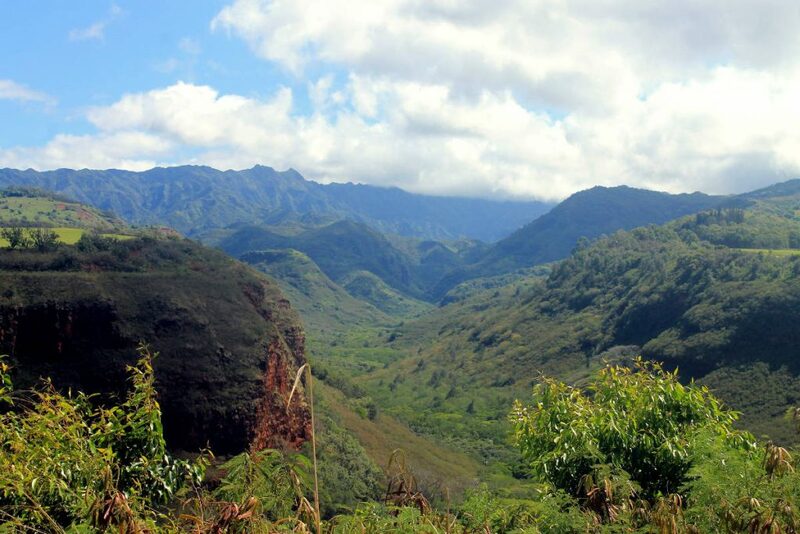 Within Waimea Canyon State Park and Koke’e State Park, you can find all sorts of different hiking trails, ranging in length from 0.2 miles to 11.5 miles. Some of the top rated trails such as the Awaawapuhi Trail offer more spectacular views of valleys as well as the Pacific Ocean. Others, like Cliff Trail and Canyon Trail, offer more overlooks of the Waimea Canyon as well as access to Waipoo Falls. 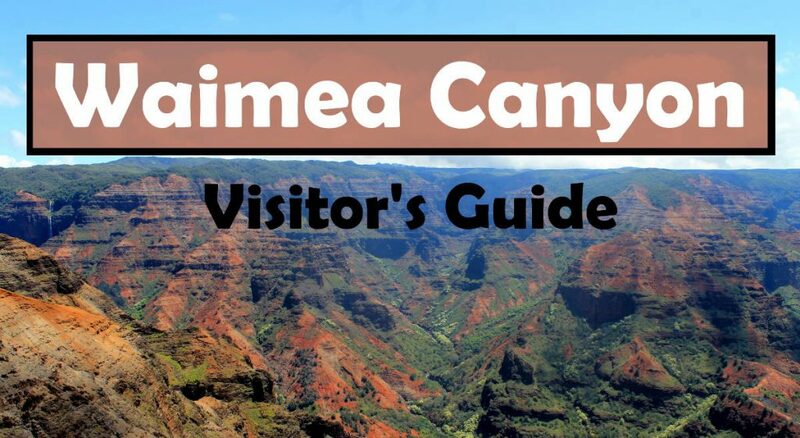 For the serious hikers and outdoors lovers, there are several areas for camping within Waimea Canyon State Park as well as Koke’e State Park. It requires a lot more preparation and packing, but is worth it if you’re looking to get more than just a “quick view” of the canyon from the overlook points. 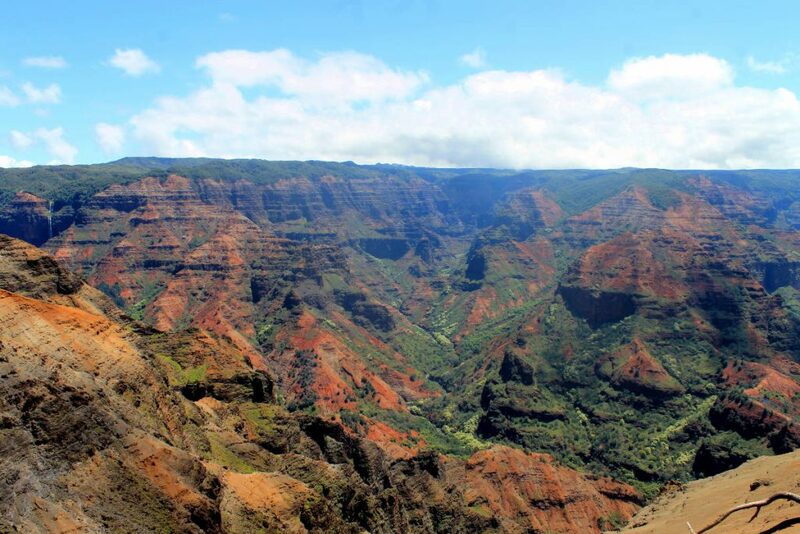 Another way to get an amazing view of the Waimea Canyon as well as the nearby Na Pali Coast is to take a helicopter tour. It’s definitely one of the more expensive options, but offers unique views you can’t get anywhere else. 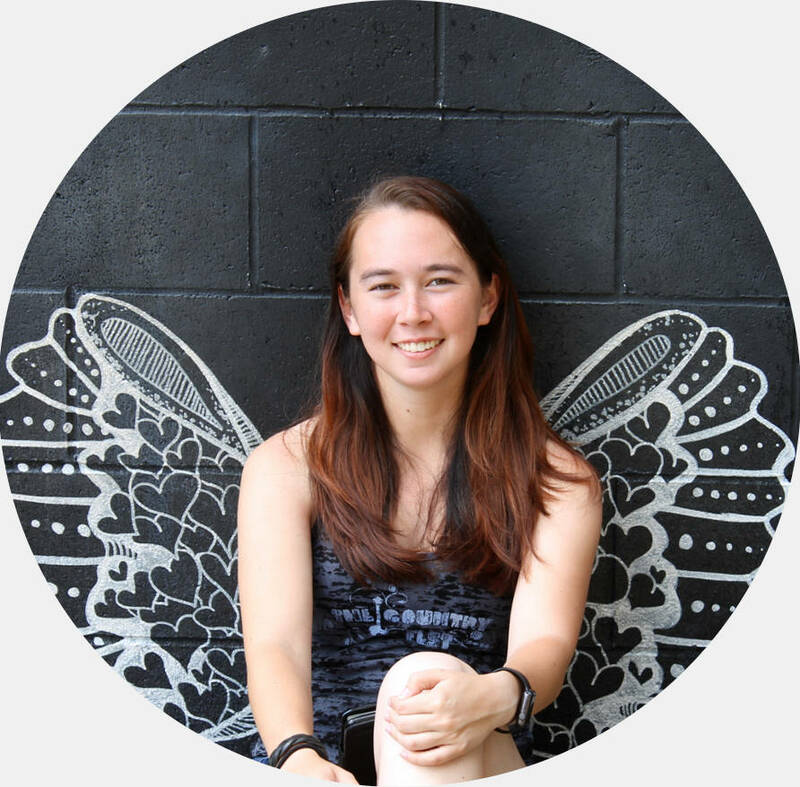 Want to see more amazing photos of Hawaii? Check out this gallery! Wow I had no idea anything like this existed in Hawaii Kiyoko. How neat. The state keeps on pulling me in.I only laid over in Honolulu for a few hours about 4 months ago, flying to NYC from NZ and the place was stunning. Best descent ever with those jaw-dropping views of the water.